performance, macro-economic and institutional factors are influential. Journal of Banking and Finance, Vol. 26, pp. 2191-2214. Privatized Firms, Journal of Corporate Finance, Vol. 11, pp.767-790. Finance, Vol. 35, pp. 819-839. Practice, Transport Reviews, Vol. 22, No.1, pp. 55-75. Özelleştirme Aşamasında Olan Limanların Sektörel İncelenmesi, 8. Countries, Journal of Corporate Finance, Vol. 11, pp.747-766. Lessons from Mexico, World Development, Vol. 30, pp. 545-560. Policy and Management, Vol. 26, pp. 383-394. Economics, Vol. 4, pp. 323-347. Management, Vol. 27, pp. 125-133. 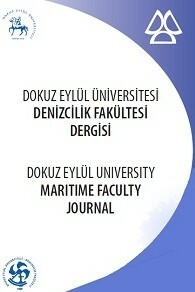 Strategies for Ports, Maritime Policy and Management, Vol. 28, pp. Collateral, Journal of Financial Economic, Vol. 81, pp. 255-281. Economics and Statistics, Vol. 59, pp. 69-88. University of Singapore, Working Paper. Association of Ports and Harbours, Tokyo. Industrial Economics, Vol. 45, pp. 269-303. Developing Countries, Maritime Economics & Logistics, Vol. 7, pp. Transport Geography, Vol.5,No.2, pp. 99-115. Multi‐Port Gateway Regions in the European Container Port System:an Update, Journal of Transport Geography, Vol. 18 (4), pp.567‐583. Nord’, Milano, 18 April 2012. Finance, Vol. 27, pp. 1185-1210.
of Comparative Economics, Vol. 29, pp. 327-346.